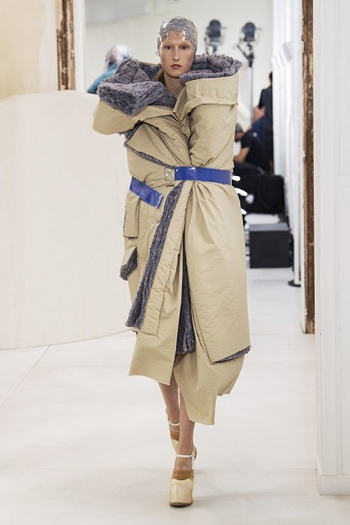 From French fashion house Maison Margiela. 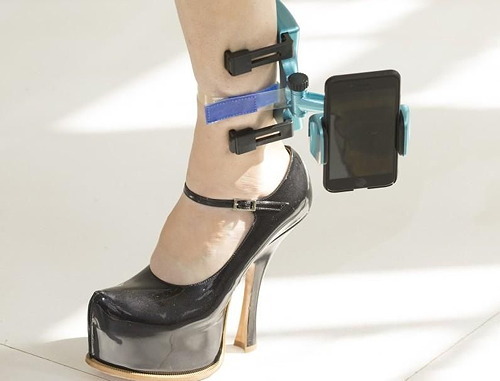 If you have the tolerance for it, you can check out the video of their runway show in which a few of the models are wearing the ankle phone-holder. Though the phone holder may be the least weird part of the show. I think at least one of the models was wrapped in fiberglass insulation (see picture below). Others seemed to be wrapped in carpets. 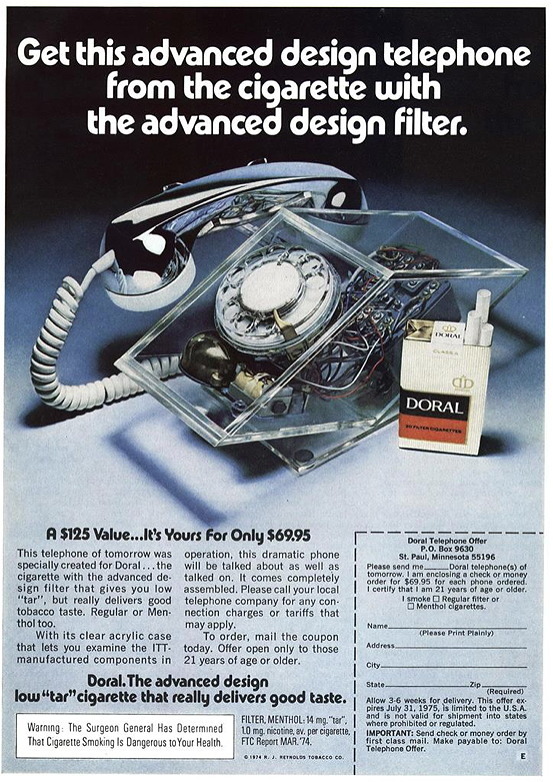 In 1974, Doral cigarettes ran a promotion featuring a telephone of tomorrow. "A $125 Value... It's Yours For Only $69.95." 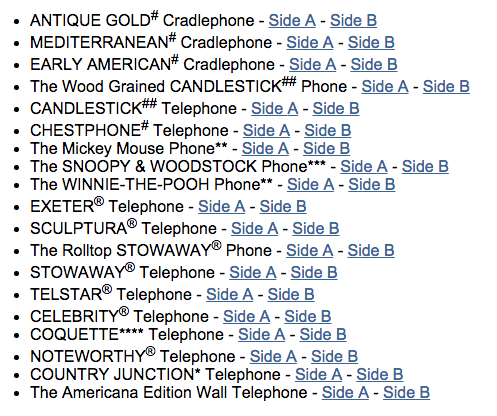 I'm not sure how it was supposed to sell cigarettes, but I was curious if any of these tomorrow telephones were still around. Found one on eBay. Bidding is currently at $2. 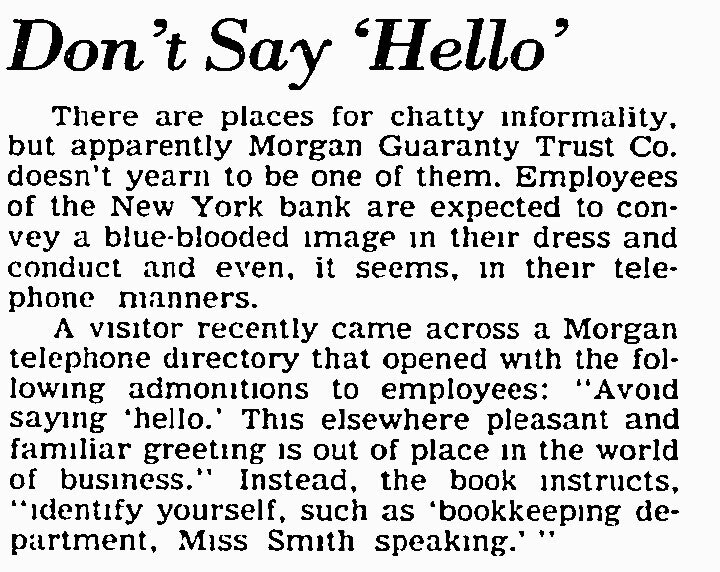 Give every weird pervert in the world your phone number. What could possibly go wrong with that plan? 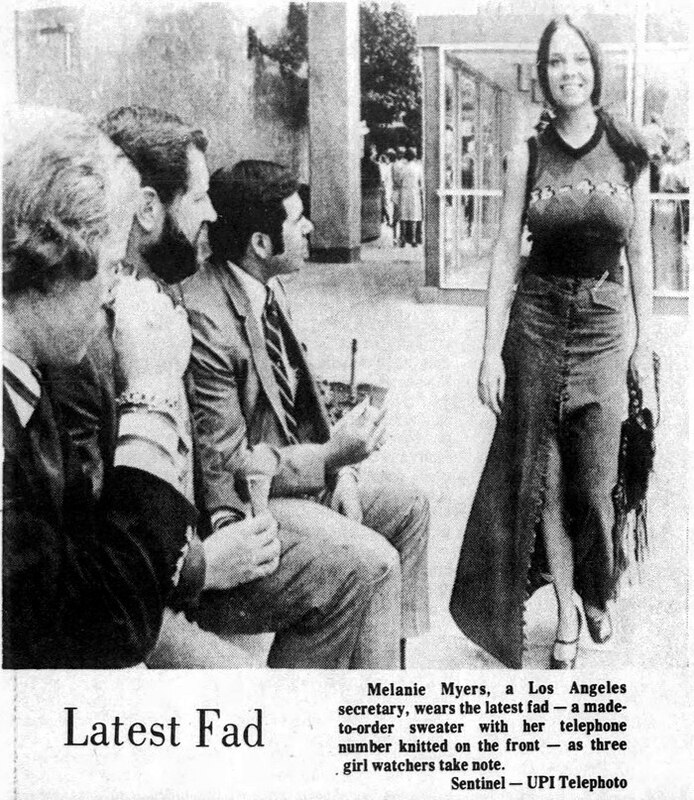 Melanie Myers, a Los Angeles secretary, wears the latest fad — a made-to-order sweater with her telephone number knitted on the front — as three girl watchers take note. 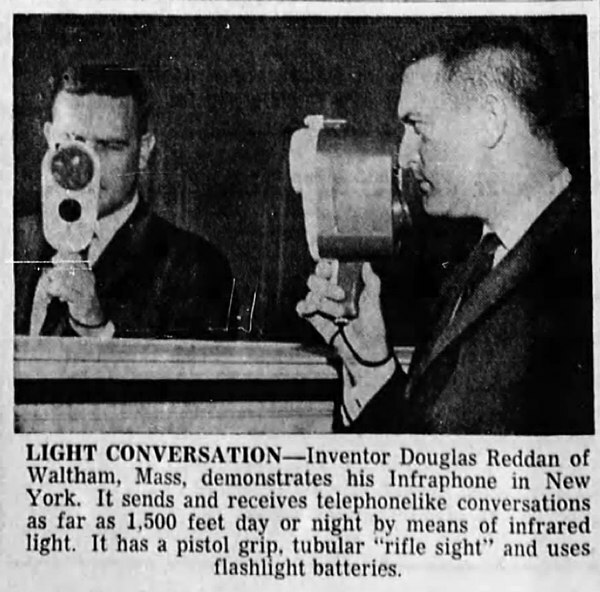 The Infraphone, invented by Douglas Reddan circa 1960, used infrared light to allow people to communicate wirelessly at distances of several hundred yards. 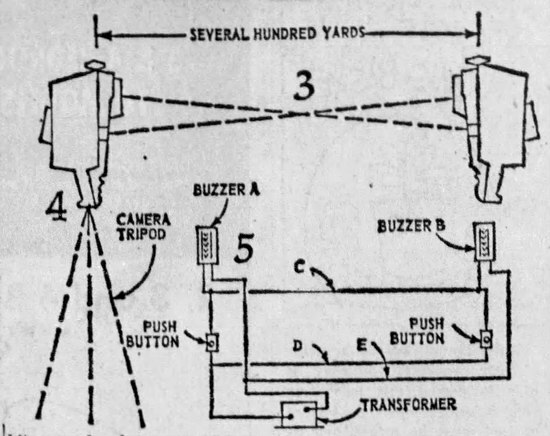 You had to aim your infraphone at another infraphone, which you did by looking through a sight on top of the unit. 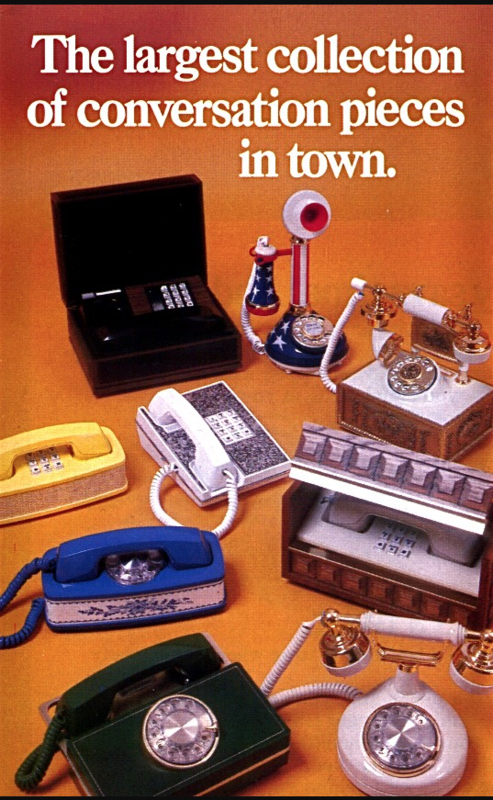 Then you could talk into the device, just like using a phone. It's an interesting idea, but I can't really think of a situation when this would provide an advantage over using a radio walkie talkie. Maybe because the signal can't be intercepted as easily? But then there's the awkwardness of having to aim the device. 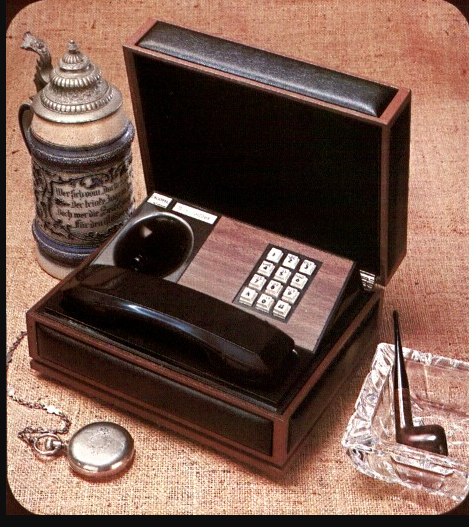 Articles about it frequently suggested it could be used as a wireless intercom. 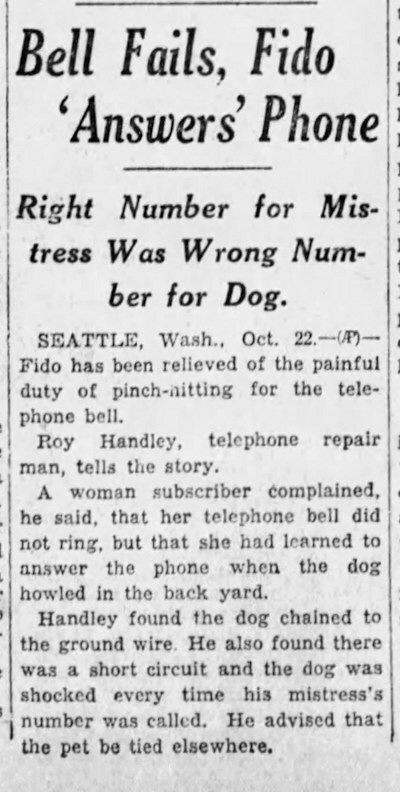 October 1932: A Seattle woman complained that her phone never rang, but she could tell when someone was trying to call her because her dog would start howling in the yard. 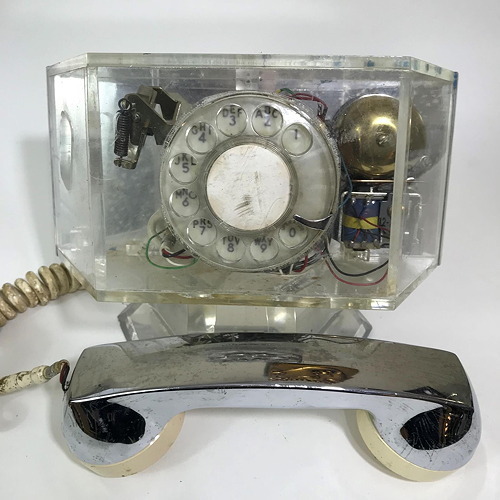 The telephone repair guy investigated. Realized the dog wasn't psychic. Instead, there was a short in the line and the dog was chained to the ground wire.